During the Social Initiative Forum (SIF), which will take place in December in SEKEM, we intend to share ideas, from all over the world, on how to shape a truly human education for the future. We welcome different people from different backgrounds to enter into a shared dialogue, to help shape an education that supports individual and holistic potential unfolding for a sustainable future. We recognize that this can only evolve through life-long learning with an integral approach, including formal school education, higher education, informal skills training initiatives, as well as entrepreneurial activities within economic, agricultural or cultural backgrounds. Let us inspire and encourage each other to think creatively and to risk starting brand new initiatives and impulses! 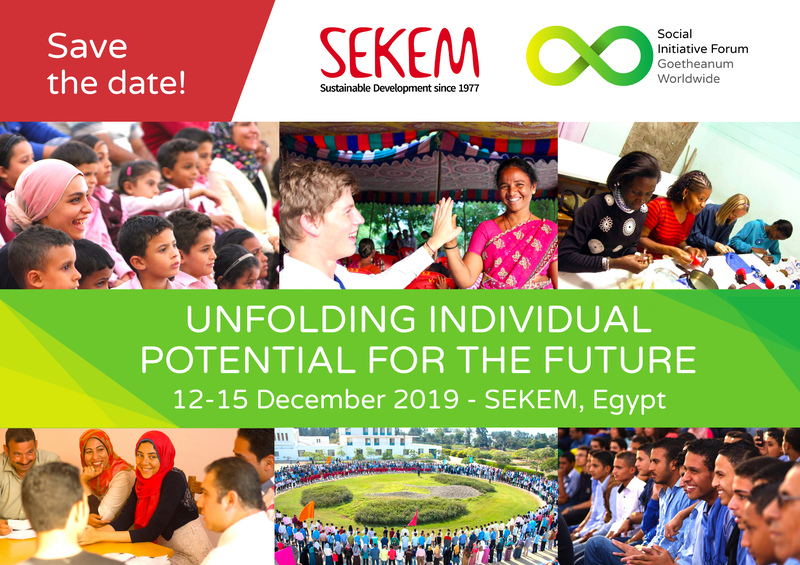 The SIF: Unfolding Individual Potential for the Future will take place from December 12 to 15 in Egypt at the SEKEM Farm.